I recently returned from a three month fellowship in the kaleidoscopic nation that is Indonesia. I undertook research with non-governmental organisation ICRAF (World Agroforestry Centre), analysing their ‘rewards’ (Payments for Environmental Services or ‘PES’) schemes for the farmers for planting trees in order to sequest carbon, and my field work was based in Paninggahan, West Sumatra with the ‘Minangkabau’. The Minangkabau have been the subject of much research over the past years, predominantly due to their matrilineal system of property management and inheritance. 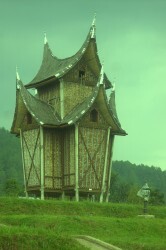 Legal pluralists and legal anthropologists Kebeet and Franz von Benda-Beckmann, based in Hallé’s Max Planck University, have been the most predominant authorities on Minang culture, and have given great influence to the structure of the research emanating and undertaken as part of the fellowship. Minangkabau offer a very solid example of legal pluralism, sedimented through adat law and religious custom and incorporated, and compromised, with state law. My research was on the usefulness of a critical legal pluralist methodology in understanding the mechanics of PES schemes in legal pluralist settings. 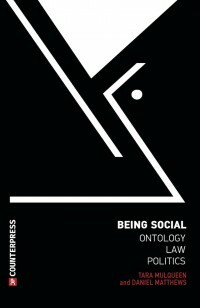 I argued that the complex relations between natural resources, law, and how the different stakeholders manage these components through their resultant actions, can be misunderstood, or even ignored, if the social scientific, and indeed, legal pluralist frameworks are not considered during the implementation of PES schemes. Without understanding the realities of a legal pluralist setting, it was argued that a scheme may fail, as the social, cultural and political meshwork has not been considered with the same importance as the hard science that brought the scheme there. It was whether the science was good for the people, as well as for the environment, that propelled the report, thus pushing for the ethical importance of the success of schemes over those that fail. Within those that fail, there may be elements of inapplicability and unfairness to the projects, and this is to be avoided at all costs. 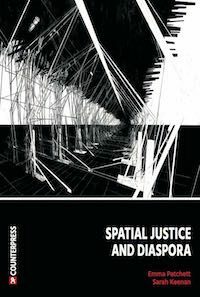 Furthermore, there are relations of land tenure and property rights that are not easily defined through more Western ‘categorical’ understandings, and are ‘concretised’ relations that a methodological framework of legal pluralism, and even moreso, a critical legal pluralism, I argued could dissect and unravel more satisfactorily. Underlying all of this though, was a drive to unite a critical legal approach with one of the social sciences, and thus to understand what a ‘critical legal pluralist’ methodology might be. Criticisms of legal pluralism normally come in the form of a defence of the ‘rule of law’, legal pluralism seen as a lessening of the binding role of state law, and thus throwing any notions of order and justice into chaos. It is also seen as linked to ‘exotic’ understandings of cultures that, predominantly, are not Western, the most obvious plural legal orders being those that have been colonised, the case in point being Indonesia. The fact that legal pluralism has had such criticisms, is true to the extent that without colonialism, there would not be such a thing as having to integrate ‘customary’ law into state law. Among the proponents of these assumptions, they come from an array of backgrounds, left and right, however, it is enough for now to say that some criticisms of legal pluralism come from the ‘critical legal’ camp. 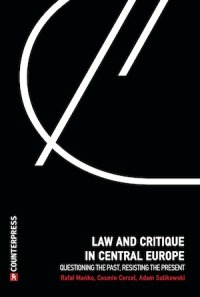 As the readership of this site is readily aware, Critical Legal Studies (CLS) seeks to critique law and understand it in its ambiguities, through highlighting the misuse of law by the powerful, and also underlining its potential for social change. A critical legal critique of legal pluralism centres around this ‘watering down’ of a central understanding of justice, the ‘exoticising’ of the ‘other’, aswell as the social scientific legal pluralist methodologies of research. By and large, the CLS camp thus uses non-empiricist theoretical approaches to methodology (or no methodology at all), and so combining the two through a critical legal pluralism seeks to bring together two very divergent groups. 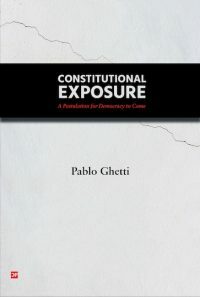 What critical legal pluralism thus seeks to do is to accept that there are pluralities of laws (whether within the state, such as adat or outside the state, such as the ‘law of playgrounds’ for instance), but that at the same time these pluralities can be used and misused, and have a potential for change. At the same time as exoticisng village elites, legal pluralism has a tendency in history to see the customary through rose-tinted glasses. What critical legal pluralism may unravel is how legal pluralist settings affect the actions of its individuals, from a realistic standpoint. Given this less rigid, more ambiguous and constantly morphing understanding of legal pluralism, the site is the individual. Echoing the post-structuralist influences of critical legal studies, individuals are considered as legislators. The question thus is: “How do legal subjects imagine, invent and interpret legal rules? How are these acted out? The idea here is to escape the bonds of legal subjugation and to be active in creating and changing law. A critical legal pluralist methodology therefore seeks to, “… emphasise heterogeneity, flux and dissonance in our normative lives and, in doing so, to contemplate how human agency overcomes and transcends the subservience of legal subjectivity. This reflects the work of Jacques Vanderlinden and his wish to shift away from the colonial roots of legal pluralism and understand law as a means of emancipation, and as a more radically pluralistic phenomenon which has to focus on legal pluralism at the level of the individual. Indeed, “I realise today that in order to have pluralism, one must necessarily have many legal orders meeting in the same situation and making the individual not a ‘sujet de droit’ but a ‘suject de droits’. I visited two prominent alumnus from the Van Vollenhoven Institute of Leiden University, Netherlands, Myrna Safitri and Sandra Moniaga. They have already done work via the nongovernmental organisation, ‘HuMa’ and its sub-branch, ‘Episteme’, on the relevance and applicability of legal pluralist and critical legal approaches to natural resource management and environmental schemes in Indonesia. After a meeting at their offices in Jakarta before leaving for Paninggahan, both Myrna and Sandra, researchers and workers with the organisation, gave a worthy insight into how they visualise working within a legal pluralist and critical legal framework. The methods they use are both qualitative and quantitative, offering a ‘triangulation’ of research criteria in order to achieve the most applicable and optimal results in data-gathering. This is by no means a new approach, and a lot of their inspiration is from US critical legal influences. Nevertheless, I found this a very relevant and indeed rare example of legal pluralism and critical legal studies being used in a practical manner, together. HuMa and Episteme consist of the work of paralegals; policy and advocacy research; alternative theoretical and methodological approaches to research using socio-legal theory; and the putting together of a centre of documentation to archive all of the above. 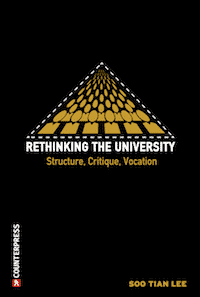 HuMA now remains as the work of paralegals and the policy and advocacy research, and the task of socio-legal and methodological analysis, alongside the development of the resource centre, have been divided into the work of Episteme. Thus, Episteme is now an independent foundation of interdisciplinary research in law and society and the environment. The manner in which they conduct their research is through the use of ‘learning circles’, workshops and knowledge sharing. The work of Episteme is described as the ‘soft ‘advocacy’, which is used as the research background in order to place the appropriateness of the ‘hard advocacy’ used by the HuMa paralegals, along the lines of a combination of various socio-legal discourses. Their methods they argue as relying very much on the research question, and having discussed with them the potential epistemological problems of combining a legal pluralist and critical legal approach to research in the form of a critical legal pluralism, they saw no problem with this, and indeed were very interested in its application and the research to be conducted in Paninggahan. My background as a student of Birkbeck College School of Law, the home of British CLS, and my interest in legal pluralism, propelled this wish to combine the two diasporas, for a wider understanding of law, society and environmental protection. This is not just how this is applicable in overtly plural legal systems, but also those that are not formally recognised by the state, i.e., how appropriate a critical legal pluralist standpoint can be for understanding complex political relations and the actor’s actions, and in general for a more informed, respectful and cooperative view of societies. The majority of this piece was taken from my report with ICRAF, entitled: “Critical Legal Pluralism and the Law of the Ulayat: Resistant Legalities in a Plural Legal Reality”. MacDonald, A. and Sandomierski, D. (2006), “Against Nomopolies”, 57, Northern Ireland Legal Quarterly, 4, 611. MacDonald, A. and Sandomierski, D. (2006), “Against Nomopolies”, 57, Northern Ireland Legal Quarterly, 4, 616. MacDonald, A. and Sandomierski, D. (2006), “Against Nomopolies”, 57, Northern Ireland Legal Quarterly, 4, 614. McDanald, R. and McMorrow, T. (2007), “Wedding a Critical Legal Pluralism to the Laws of Close Adult Relationships”, 1, European Journal of Legal Studies, 4. Vanderlinden, J. (1989), “Return to Legal Pluralism: Twenty Years Later”, 28, Journal of Legal Pluralism and Unofficial Law, 156. I read this article and found it very interesting, thought it might be something for you. 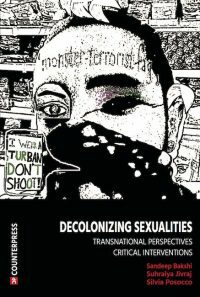 The article is called Some Indonesian Recollections on Critical Legal Pluralism and is located at http://criticallegalthinking.com/2011/05/06/some-indonesian-recollections-on-critical-legal-pluralism-2/.